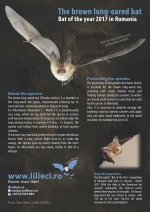 This section of the portal contains informative publications, brochures, methodological guides, posters, and other materials on the topic of bats, bat protection and research, materials that were developed by the CBRC or other Romanian organizations as part of specific projects, or for the purpose of education, training and awareness. 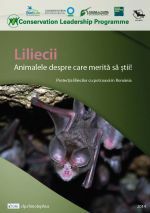 The Lilieci.ro portal does not hold the copyright on these materials, but they were published with the consent of the authors. Enjoy! Materials created by other organizations don’t necessarily reflect the position of the CBRC regarding the discussed subject. 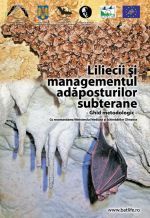 The bats of Făget forest. A diversity worthy of Cluj-Napoca! 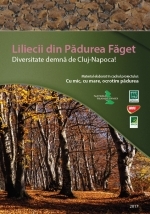 Informative brochure created in frame of the project “With small and big, we protect the forest!”, financed by Foundation for Partnership and MOL, in frame of the „Green Spaces” programme. The Carol line: more than ruins! 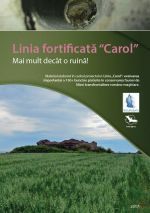 Informative brochure created in frame of the project “The Carol line: assessing the importance of 150+ deserted bunkers for the conservation of the Romanian-Hungarian cross-border bat fauna”, financed by Eurobats. 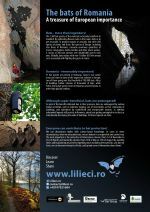 Brochure published as part of the project “Protecting the horseshoe bats in Romania“, financed by the Conservation Leadership Programme. 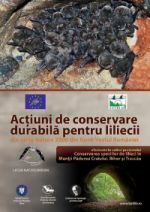 Brochure published as part of the project LIFE08 NAT/RO/000504 “Bat conservation in the Pădurea Craiului, Bihor and Trascău Mountains“, implemented by the Environmental Protection Agency of Bihor County, in partnership with the Romanian Bat Protection Association, and the “Emil Racoviță” Speleological Institute in 2010-2013. Poster created by the CBRC team, format: A3. 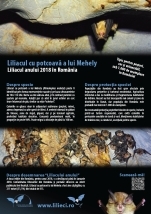 Poster created in frame of the project “Uniting the efforts of Romanian bat conservation”, implemented by Szilárd-Lehel Bücs, in frame of the Klaus Toepfer Fellowship Programme. 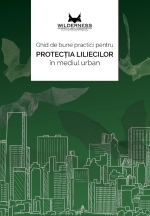 Guide published as part of the project “Bats in the urban environment”, implemented by the Wilderness Research and Conservation and the Foundation Luana’s Dream in 2017, financed by IKEA, Urban Environment programme. 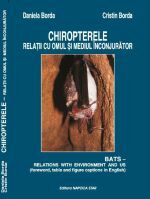 Authors: Dragoș Ștefan Măntoiu, Alexandra Chelu, Ovidiu Roșu, Iulia Miu. 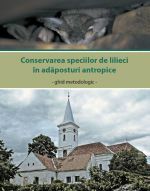 Methodological guide published as part of the project “Long-term conservation of bat colonies in anthropic roosts by involving local communities“, implemented by the Romanian Bat Protection Association in 2014-2016, financed by EEA grants 2009-2014, and the Romanian NGO fund. Authors: Csaba Jére, Szilárd Bücs. 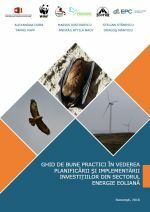 Guide created in frame of the project “Natura 2000 and Rural development in Romania”, co-financed through Swiss Contribution, implemented by the Danube Carpathian Romania WWF Programme, and their partner WWF Switzerland, Milvus Group, Ecotur and ProPark Foundation. Authors: Alexandra Doba, Marius Nistorescu, Stelian Stănescu, Tamás Papp, András Nagy Attila, Dragoș Măntoiu. 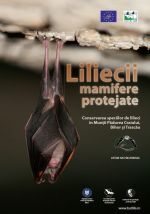 Methodological guide published as part of the project LIFE08 NAT/RO/000504 “Bat conservation in the Pădurea Craiului, Bihor and Trascău Mountains“, implemented by the Environmental Protection Agency of Bihor County, in partnership with the Romanian Bat Protection Association, and the “Emil Racoviță” Speleological Institute in 2010-2013. Autori: Csaba Jére, Szilárd Bücs. 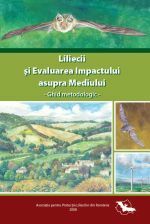 Guide created with financial aid from the Dutch Ministry of Agriculture, Nature and Food Quality, through Matra BBI, the Romanian Ministry of Environment and Durable Development, Environment Fund Administration, by the Romanian Bat Protection Association. Authors: Csaba Jére, Abigél Szodoray-Parádi, Farkas Szodoray-Parádi. Ed. Profundis Satu Mare. 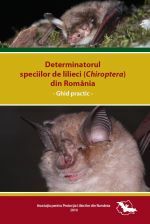 126 p.
Field guide created by the Romanian Bat Protection Association, with the financial support of the Partnership Foundation and Tuşnad. Authors: Csaba Jére, Cătălin Crețu, Ștefan Emanuel Baltag. 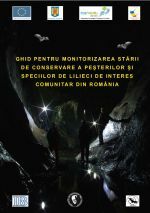 Guide created by the collaboration of the “Emil Racoviță” Speleological Institute and the Romanian Bat Protection Association, in frame of the project “Monitoring the conservation status of species and habitats in Romania under Article 17 of the Habitats Directive SMIS-NSRF 17655”, financed through the European Regional Development Fund and Sectoral Operational Programme “Environment”. Authors: Marius Vlaicu, Csaba Jére, Anca Dragu, Dr. Daniela Borda, Dr. Cristian Goran, Dr. Farkas Szodoray-Parádi, Dr. Ruxandra Năstase-Bucur, Dr. Eugen Niţu, Dr. Dumitru Murariu. Book, authors: Daniela Borda, Cristin Borda. Ed. Napoca Star, Cluj-Napoca. 212 p.